An insider's look at the beloved house-elves of the Harry Potter films, complete with a do-it-yourself 3D wood model of Dobby! Loyal and devoted to the wizards and witches they serve, house-elves are some of the most beloved magical beings of the wizarding world. 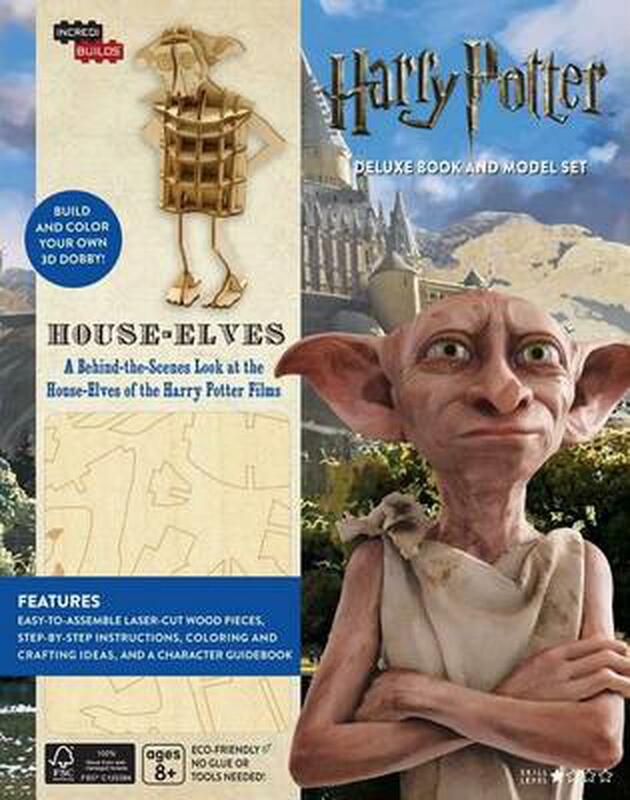 With a special focus on Harry Potter's friend Dobby, this model and book set provides a thrilling behind-the-scenes look at how house-elves were brought to life for the Harry Potter films, from early designs to filmmaking secrets. Build your own Dobby with the included do-it-yourself wood model and embark on a unique and interactive journey through the world of Harry Potter. Jody Revenson has written extensively about the Harry Potter films. Her most recent books are Harry Potter: The Creature Vault, Harry Potter: Magical Places from the Films, and Harry Potter: The Character Vault.